In some states, such as Virginia and Florida, an FR44 Filing may be required when you have a DUI / DWI / OVWI or other alcohol related violation. An FR44 filing is similar in theory to an SR 22, except that it may indicate that you maintain more than just the minimum amount of coverage required by the state requesting it. If you need an FR44, you will likely be required to purchase more than just the minimum amount of liability insurance. Our agents can help you to determine what the requirements for insurance are for your state, based on your situation. 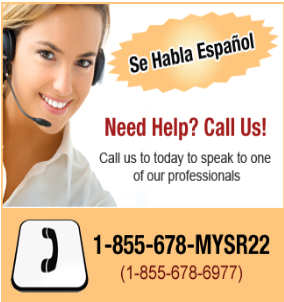 Depending on the sate in which you reside, we will help you to determine which form to use, either the SR22 or FR44. In many situations you may receive a case number. This is usually a 9 digit number (no letters). Please make sure to provide us with your case number so that we can have the FR44 form issued correctly. If you have your DUI / DWI conviction date available, that would be helpful as well. To obtain an estimate for the price of insurance with an FR44 only takes a few moments. When you are ready to purchase your insurance, we can provide you with a new temporary ID card and FR44 in the same day. How can www.SR22Coverage.com help me? We shop a variety on insurance carriers in over 39 states to help you compare the rates and coverage options so that you can choose the price and amount of coverage that works for you. Immediate quotes are available for SR22’s or FR44’s. Our licensed insurance professionals work hard to understand your needs and to be here for you.